KingFisher, a photo by Saad Faruque on Flickr. 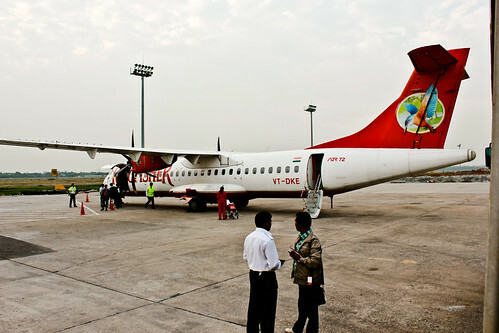 One of the scary planes KF operates for their Short flights from Dhaka to Kolkata the ATR 72. They say the distance being so short it is not economical to run a bigger plane as to before it can climb to the cruising altitude it is time for climbing back down for landing. Next Post 12 boats in a row, can u count? haha it only kills time does not bring me any money 🙂 thanks for your comments thought.